You give it the importance it deserves. In this post, we will go through details & key take aways on How to increase your patients walk in through dental clinic website in 2019. Most of the dentists create dental websites to have an online presence. Which is not a bad reason to do it. But what if I tell you that it can be more than your web home. There are more ways a dental website can improve your brand value and attract quality patients to your clinic than you can imagine. To use your dental website to its potential, the first step is to focus on SEO. A website will not be of much use if it’s not found by online users. Dental SEO is done to improve your dental website ranking on Google and other search engines. Search engine optimization is a process by which a search engine processes information on your website and decides the rank and relevance of your website to a particular query. Dental SEO rules and practices are subjected to changes from time to time. Google keeps updating its algorithms to provide better results to its users. With the new Google algorithm update 2019, it has become easier to rank your website than in previous times. The best way to tackle the constant changes done in search engine optimization, according to Google’s own words is to have great content on your website. Building great content isn’t easy. It requires time and effort and more importantly expertise in the given field. Unlike Techie Dentist, not many digital marketing companies have expertise in dentistry. It becomes even more difficult to create unique content for dental websites. The only proven method to improve your dental website ranking and gain new patients. If you have to improve your ranking on google, you have to create in-depth user-focused content for your website. 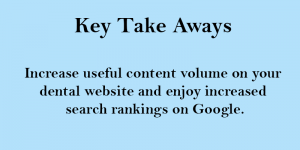 Content can not only help you with dental search engine optimization. It is also beneficial for content marketing. Content marketing is marketing your content to gain new customers while improving in search rankings. Content marketing and SEO go hand in hand. All the components of SEO go back to creating awesome content. And we need to keep them both happy for the rise of the kingdom. Content marketing can help you in more ways than improving your search ranking. It can help you grow your business. Search engine ranking: content forms the main criteria for ranking your site according to Google algorithm update 2018. It is blatant in asking website owners to focus on content on their websites rather than trying to trick Google to improve in search rankings. According to Shareaholic, for the first time since 2014 search outperformed in driving traffic website in 2017. According to it, search drove 34.8% of site visits in 2017 when compared to social which drove 25.6% of referral traffic. According to another company chartbeats, Google search referrals to its client base were turning up. With these statistics, we know how important it is to rank on the first page of google. Dental websites which are ranking high on google search have great in-depth content which imparts knowledge to its users. When you go through their website, you notice the huge amount of content it has. Their content is useful and answers all the questions of their users and even gives them knowledge about services or facts which they don’t know. These websites provide a huge return on investments than websites which don’t pay attention to their content. Filling your website with content at once and then forgetting about it will also not work out now. 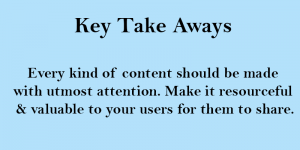 You need to be constant in updating your content and keep providing users with something new every week. They will keep coming back and also have your brand name on top of their minds. Apollo is a brand which doesn’t need any introduction, but you see them doing online marketing and producing content nonetheless. Their website blog is updated with fresh content every week and so is their social media platforms. When such a brand is doing so much to be on top of their customer’s minds. Then why can’t you? At Techie Dentist, we make sure we always keep our dental websites updated with fresh and in depth content. In this era of fierce competition, digital marketing for dentists has become more of a necessity than a choice you can make. You lose more when you don’t invest in marketing than you gain by saving the amount. With the rise of the internet, staying behind is losing your patients to your competition and accelerating on the path of your doom. Link building: another important factor in search engine optimization which you cannot ignore. Link building is a term which is used when your website is linked to other websites. The more inbound and outbound links you generate; the more Google will recognize you as an authority on your subject. Link building will not only help you improve your search rankings but also your outreach to potential patients. Link building is done so that the users can reach your content and read it. Generating awesome content won’t help much if it doesn’t reach its target audience. Apart from the number of backlinks to your website, Google checks the quality of such links too. You cannot get all your links simply by posting on social media. Though it is an important factor, as Google measures the social signals of your brand. It is not the only factor. The main form of backlinks which you need to improve your website ranking is from guest blogging. When you post as many articles on various sites as you can., the more authority your website builds. These articles should also be unique with correct grammar, spelling and related to your website niche. If you get links through spam or plagiarized content, your website can lose credibility and ranking. When your content is useful and provides value to its readers, they tend to share it on their social media. By doing so they provide you with more links and brand awareness. This further increases the importance of good, in-depth, unique and resourceful content on your website. Creating brand awareness: the more content you produce, the more visibility your brand will gain in front of the target audience. More visibility leads to increased recognition. When the need arises, they will turn to your brand as they recognize it. Example: Airports have the most number of advertisements displayed in various areas. You see only big brands showcasing their names as it is expensive to advertise at airports. Why do you think they spend so much to showcase their name at airports? The airport has millions of users traveling through and million more who show up to drop or pick up their relatives or friends. It is a big opportunity for brands to get their name in front of such a large number of people. A golden opportunity to imprint their brand name in your subconscious mind. When you see their name again on other platforms or go to a store to buy a product, you recall it as a familiar brand. Then check out their products before making a consumer decision. As dentists don’t have huge budgets to display their ads, online marketing comes to their rescue. With the same or more number of users on various platforms, they can leverage this opportunity to create brand awareness. Creating brand awareness online is also a tricky game. To attract users’ attention to your dental clinic brand, you must publish content which demands their time. Content doesn’t only mean blog articles, though it forms an important part of your website and content marketing strategy. There are other forms of content which includes images, infographics, videos, animations etc. The more engaging and informative content you produce; the more attention online users will provide you. 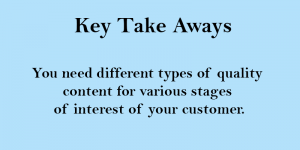 Your content must answer their questions and also educate them on various aspects of your services. Lead nurturing/ Customer conversion and retention: the role of content doesn’t end when a customer finds your website. It actually begins there. When a customer finds your content compelling enough to follow through, the content you send next become more important than what had already been told. You need to reward the belief of your customer with proof of your expertise. 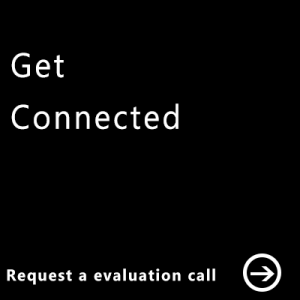 The first step would be to reach out to the customer in the same way as he/she did: either by call or mail. When you get in touch with your customer, send them proof of your expertise in the form of case studies and testimonials of your previous patients to encourage them to visit your dental clinic. Once the customer sets foot in your dental clinic, it is up to you to gain their complete trust and turn them into your regular customers. If it doesn’t work out, then no need to get disappointed. Keep sending them your blog articles, case studies, success stories, patient testimonials, discount offers, greetings on festivals etc. The idea is not to irritate the customer but to keep reminding them of your dental clinic. In a dentist case, opting for a service at your clinic. At one point or another, they will give in and turn into your loyal customers or refer you to others. This strategy works not only for international and local patients but also for new and old patients. Show them you care and they will answer your interest by increasing your ROI. 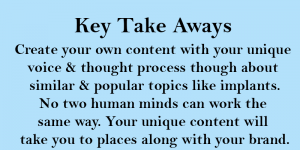 The key also lies in your presentation of case studies, testimonials, and quality of your overall content. If you keep pestering them to visit your clinic or in other words making a sale, it may backfire. It is important when and what kind of content you send to your potential patients depending on the stage of sales funnel they are in. Keyword stuffing: when Google was new and developing, stuffing your articles with the desired keyword could land you on its first page. Those days are long gone. If you stuff your articles that way, you may get even penalized for it or blacklisted. At this age, Google is more human than a machine. Keyword stuffing doesn’t work anymore. 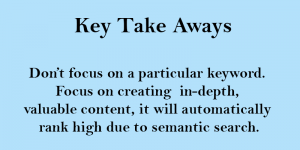 In fact, the importance of keywords is diminishing day by day due to an increase of semantic search. 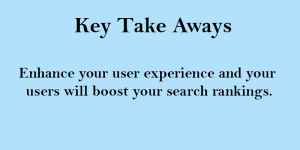 Google not only looks for a particular keyword but also for words which relate to the focus keyword. When you produce quality in-depth content for your users instead of a machine. The machine will reward you more than a human. When your content is in-depth and useful, it may even rank for keywords you may not even intend to focus on. Grammatical errors: Google focuses on the user experience. If your content is grammatically correct and easy to read for its users. It will rank higher than an article filled with grammatical errors. 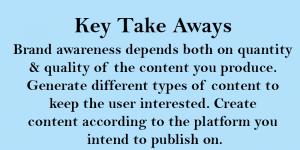 It also applies to link building articles. Just because they don’t show up on your website, doesn’t mean you write it with distaste. Google rewards good content in all forms and areas. Plagiarism: don’t just copy and paste content from other websites. Google will know and penalize you. Your search rankings may drop significantly. Google will always rank an older website on which the content was first published. It is difficult to produce unique content always especially in dentistry where topics are universal and competition fierce. If you copy the content as it is, you will surely be caught. If you create your own version of the content, you will be rewarded. Though the topic may be the same no two humans can write the content in the same way even about the same topic. Give a human touch to the content, don’t cheat and follow work ethic. Not only Google but life will reward you as hard work always pays off. If you don’t have the time to do so much work, give a call to Techie Dentist. We will do the work for you. We pride ourselves on creating great content for our customers and celebrate their success as our own. Because we are in this together. Stay tuned for our next article as we look into ways of promoting our content to gain maximum exposure and ROI.